We've all taken those online quizzes: if you were a fruit which one would you be? What city were you meant to live in? The most popular of all of these is, what is your spirit animal? Here's a hint. We get to choose our spirit animals, it's not for the world wide web to decide. 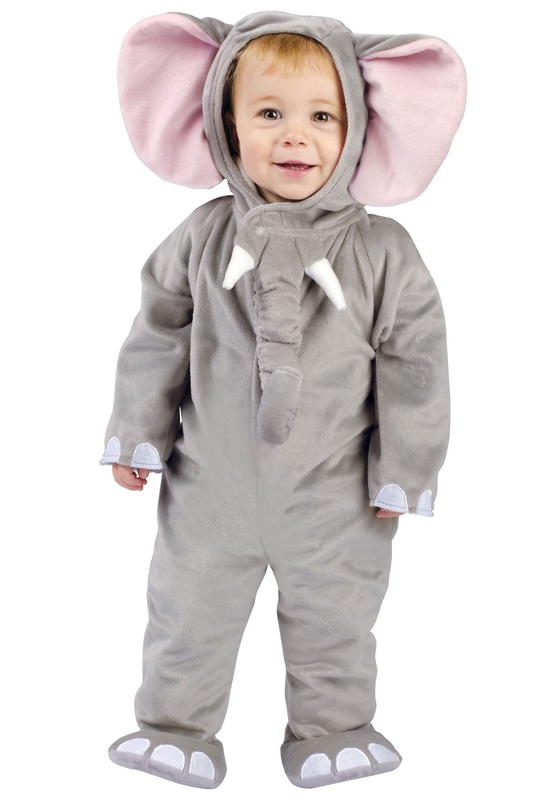 When your child is wearing this elephant costume, your little one will be a walking, crawling vision of the elephant's saggy baggy cuteness. An elephant is one of the best animals of the jungle to channel. Why not dress your little wild one as an animal that is tightly connected to its family unit? Elephants are some of the most powerful creatures on earth. While they can't literally move mountains, groups of elephants make paths and clearings in the jungle landscape. When they graze in the savanna they eat the tall grass and make it possible for the small saplings underneath to see the sun and grow into trees. Without elephants, the wild views of India and Africa would look very different. Of course, your baby is going to change the world. For now, in this soft gray fleece costume, your baby will at least change the tone of the day while they march around like an adorable mini elephant. As they play with their new big pink ears and floppy trunk you might see that they've decided on their spirit animal, no internet quiz needed. Loved this costume. It was my son's first Halloween. It was big enough so that he could wear clothes underneath. Also, the costume was very warm and good quality for the price!!! My baby might not be thrilled to wear it ..lol.. but i love it! Good quality and came very fast!